To start a fire with flint and steel you need four basic things; a flint rock, a piece of high carbon steel, some char-cloth, and some tinder. Let’s examine these one at a time and get you properly outfitted to start a fire with flint and steel. First the flint. I have started a fire with a tiny piece of flint no more than half inch by half inch, but we will start off with something a little bigger so you don’t mash up your fingers while learning how to strike the flint. I would recommend that you start of with a flint that is about two inches by two inches and maybe about three eights of an inch thick. Where do you find flint? Well, it’s not always easy to find. In my area (East Texas) there is none. At my sister and brother-in-law’s place in northern Arkansas it’s everywhere. You’ll just have to look around. Sometimes flint is used to grade railroad right-of-ways, and I have found some decent pieces of flint walking along train tracks. What you are looking for is a very smooth grained shiny rock that has an, almost, glass like surface. You can’t go by color because flint comes in white, tan, brown, yellow, gray, and black. 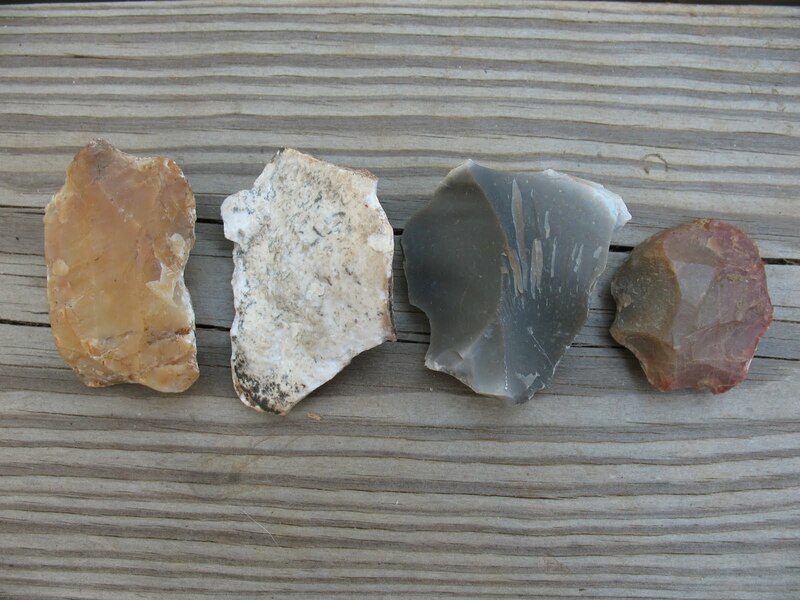 Pictured below at the top are several different pieces of flint. 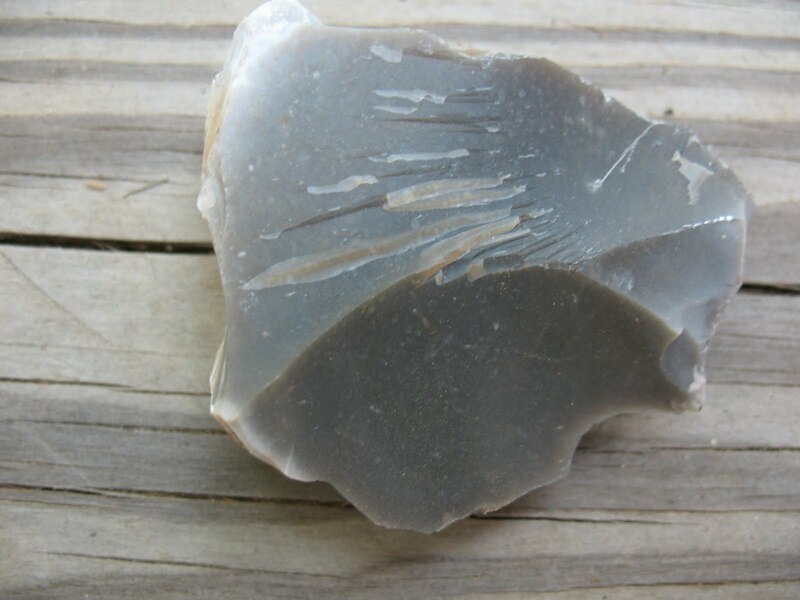 On bottom is a close-up of a piece of dark gray flint showing the smooth, almost glass surface. Remember that when you hit the flint with your steel it is not the flint that is sparking. It is the steel fragments that the flint scrapes off of your steel that burn, so you need a sharp edge on your flint. Not a razor thin edge because that will just break off. Kind of a blunt edge is what you are looking for. 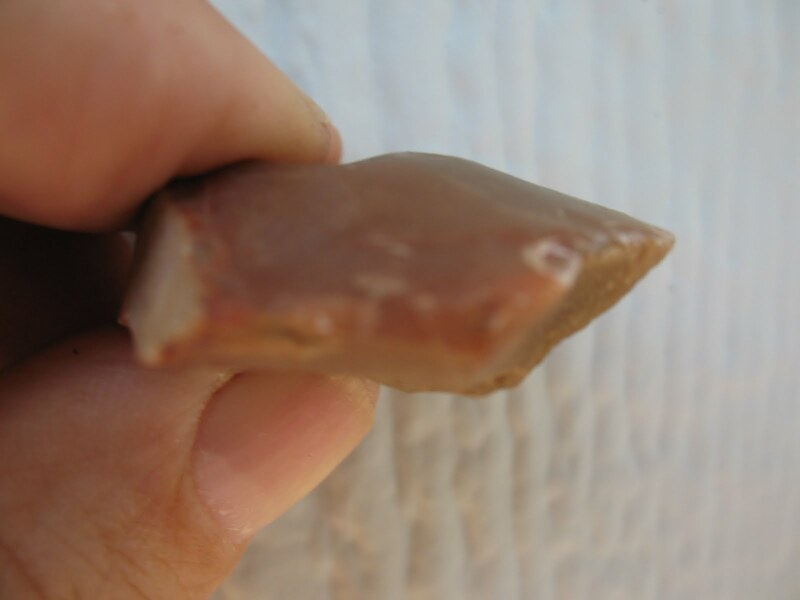 Pictured below is a side view of a flint to give you the idea of what it should look like. If your flint doesn’t have a good edge you can put one on it. Take another rock or a piece of metal and smack down on the edge of the flint. Be sure to wear safety glasses when doing this. When the flint breaks it will probably leave a good edge for you to work with. If it doesn’t break right, just throw it away and look for another piece. Now that you have a piece of flint, you will need something to strike it with. As previously mentioned, you will need a piece of high carbon steel. You can buy fire steels at mountain man rendezvous or you can order them from companies like Dixie Gun Works or other places that cater to early American re-enactors. If you don’t want to go to that trouble, you can use a piece of an old shop file. Files have a good carbon content and are about the right temper for a fire steel. 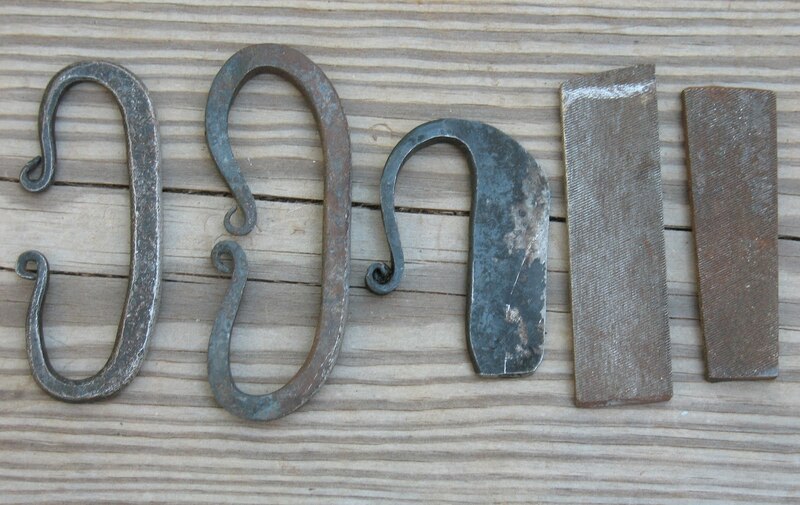 Pictured below are three different store bought fire steels and a couple of pieces of broken file. Now you have a flint and steel. In the next post we will learn how to make char-cloth and prepare tinder.